New Delhi, April 7: ‘To ensure good health: eat lightly, breathe deeply, live moderately, cultivate cheerfulness, and maintain an interest in life - William Londen’. 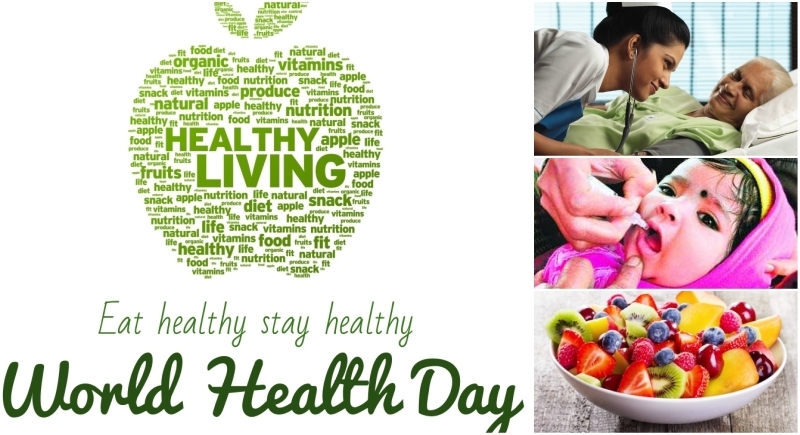 Complying to this let us set the stage ready to celebrate ‘World Health Day’ together. Promising to create a global health awareness, the world comes together to celebrate World Health Day every year on 7 April under the leadership of World Health Organisation (WHO). First celebrated in the year 1950, this day also marks the establishment of WHO. A particular health-related theme is chosen every year and varieties of programs related to it are organized on international and national levels. The celebration focuses on increasing the life expectancy of people by promoting healthier living habits. Sighting to the various themes brought in every year emphasizing on proper health care and facilities entitled on people, this year the theme for 2018 is ‘Universal Health Coverage: Everyone, Everywhere’. Universal Health Coverage (UHC) refers to the providing of essential healthcare services to a person while ensuring that the use of these does not expose the user to financial distress. The basic objective is that every person who needs these services should get them and not only those who can pay them. This is required to alleviate the financial costs associated with healthcare while making individual access to these services easier. Joining hands with WHO, India has also sort to work together in making the digitalized mechanism of health sector to have an upper-hand. India has adopted digitalization and catering the services in every sector and majorly focusing on health, the country has focused on ease of mode strategy for the people. Health is important and therefore attaining to have a proper and healthy life it is essential to lead a proper lifestyle. Launching world’s largest government funded health care programme by India, ‘Ayushmaan Bharat’ aims to cover over 10 Crore poor families and provide coverage of up to Rs 5 Lakhs. Ayushman Bharat- National Health Protection Mission scheme will enable beneficiaries to avail of health facilities from any part of the country and will be paperless and cashless. The theme for WHO this year is also on the similar lines. Pertaining to this, Minister of Health and Family Welfare, J P Nadda tweeted that with the aim of protecting the citizens, Ayushmaan Bharat initiative aims to ensure health insurance as well as health assurance, protecting more than 50 crore beneficiaries. However, this day is one of the eight official global health campaigns marked by WHO, which include World Tuberculosis Day on 24 March, World Immunization Week in April, World Malaria Day on 25 April, World No Tobacco Day on 31 May, World Blood Donor Day on 14 June, World Hepatitis Day on 28 July and World AIDS Day on 1 December. The 2017 theme was Depression: Let’s Talk, which aimed to reach out to help people battling with the disorder. According to WHO’s latest estimates, between 2005-2015, there has been an 18 per cent increase in people dealing with depression, that is approximately 300 million people.